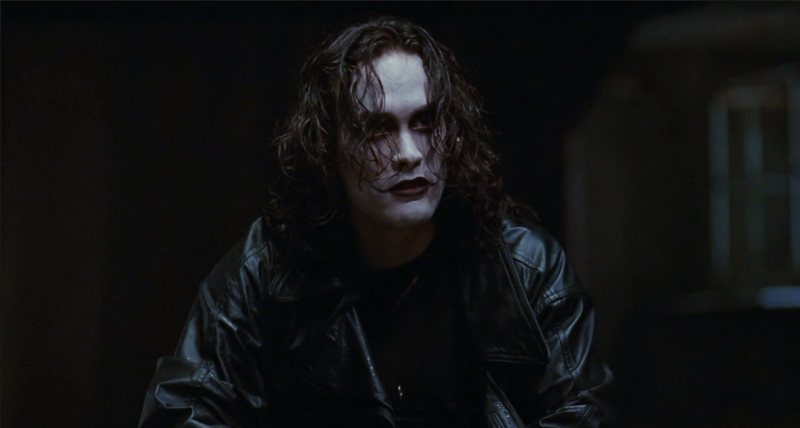 The Crow is a comic book adaptation in which a vengeful rockstar (Brandon Lee) gets resurrected, Rolling Stones style. Released in 1994, The Crow is dedicated to its star Brandon (son of Bruce) Lee who was killed during one of the movie’s gun stunts. Interestingly and inadvertently this tragedy lends substance to what would otherwise be a pure exercise in style; a gothic cyberpunk hybrid that informed the aesthetic of films like Blade and Underworld. 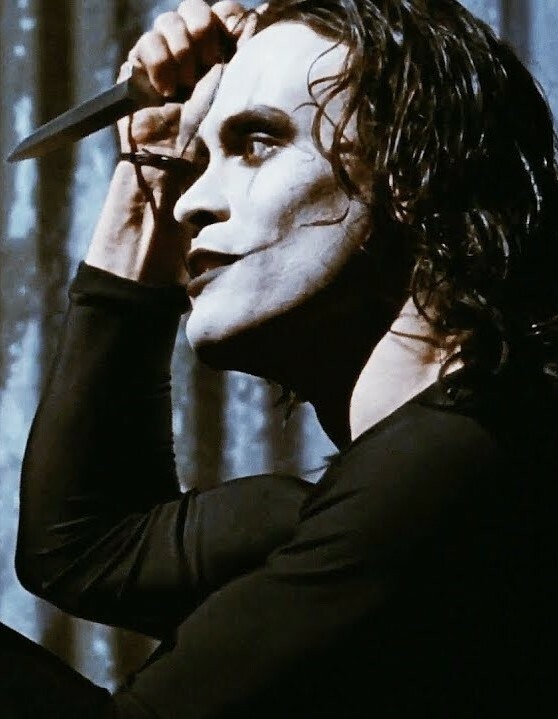 Itself derived from a combination of Blade Runner and Edgar Allen Poe, The Crow feels like the missing link between Tim Burton‘s and Christopher Nolan‘s Batmen. Mind you, if The Crow runs into either Catwoman or The Scarecrow then he’s toast. Just as Selina Kyle was resurrected by cats, a crow brings Lee back to life with regenerative superpowers, mind-reading abilities and an inexplicable need to carry a guitar around with him (told you it was a comic book) as he hunts down his wife’s killers – all to an industrial rock soundtrack, which is a great way to make your film seem very dated very quickly. However it does garner credibility by having The Cure contribute the main theme (‘Burn‘) and for possibly inspiring a Deftones song that uses the line “I’m your passenger” (the band would also appear on the sequel’s soundtrack). It shouldn’t work (and much of it doesn’t) but somehow the film transcends its emo music video trappings, thanks to Lee’s performance and the strange fact of his death giving meaning to the movie’s pulp. This underscores the noirish production design, Alex Proyas’ (Gods of Egypt) knack for over-the-top action and Ernie Hudson’s enjoyable turn as a cop (because bustin’ makes him feel good), all of which come together to stop The Crow from becoming a turkey.